In the beginning alex rider thought that he was being robbed but when he looked outside it was just to cops in the front of his door and they told him that his uncle died in a car crash. I really enjoy this StormBreaker a lot because the book is finding out the truth if his uncle really died in a car crash or not. The reason he believes that is not the truth is because he thinks that his uncle was a spy for the top secret intelligence agency. Also alex was recruited to find the truth about his uncle if he actually died in a car crash or he was in a top secret agency. 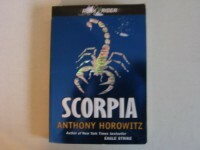 I would be Alex Rider in the book because alex is getting into a lot of crazy stuff and he knows how to do hand combat. Also he never wanted to be the person that he is now. But he does go to school. He is a spy I don't know why he doesn't want to be a spy I think it might be cool to be a spy. I do not like the character so far because the main character is killing most of the other charterers. So right now I am not liking the character because of him killing his friends. So far In the book there was killing and the murder was talking to his friend because his friend saw him kill someone so if he tells anyone he would die. So basically he is giving him a warning. This book is really interesting to read. Because in a part of the book her friend shot her other friend so I don't know what is going to happen. So I'm confused of why she shot her friend and I think that is the most interesting in the book.